Luxembourg City boasted some of the most impressive fortifications in the world, designed by Marshal Vauban and improved by subsequent engineers, which gave the city the nickname "Gibraltar of the North". Since the 1815 Congress of Vienna, the Grand Duchy of Luxembourg had been in personal union with the Kingdom of the Netherlands. In a concession to neighbouring Prussia, Luxembourg was to be a member of the German Confederation, with several thousand Prussian soldiers stationed there. The Belgian Revolution of 1830 had divided Luxembourg into two, threatening Dutch control of the remaining territory. As a result, William I of the Netherlands entered Luxembourg into the German customs union, the Zollverein, to dilute the French and Belgian cultural and economic influence in Luxembourg. When Austria and Prussia did go to war in 1866 (the so-called Seven Weeks' War), the result was a shock to Europe. Prussia quickly defeated Austria and her allies, forcing Austria to the negotiating table. 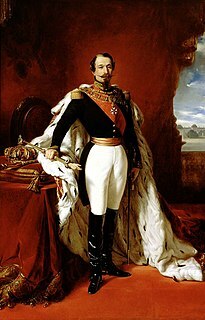 Napoleon III offered to mediate, and the result, the Treaty of Prague, dissolved the German Confederation in favour of a Prussian-dominated organisation, the North German Confederation. Assuming that Bismarck would honour his part of the agreement, the French government offered King William III of the Netherlands 5,000,000 guilders for Luxembourg. Being in deep financial trouble, William accepted the offer on 23 March 1867. To avert a war that might drag their own countries into conflict, other countries rushed to offer compromise proposals. 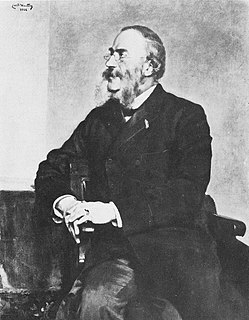 Austria's Foreign Minister, Count Beust, proposed transferring Luxembourg to neutral Belgium, in return for which France would be compensated with Belgian land. However, King Leopold II of Belgium refused to part with any of his lands, putting paid to Beust's proposal. With the German public angered and an impasse developing, Napoleon III sought to backtrack; he certainly did not want to appear to be unduly expansionist to the other Great Powers. Thus, he demanded only that Prussia withdraw its soldiers from Luxembourg City, threatening war in the event that Prussia did not comply. To avoid this fate, Emperor Alexander II of Russia called for an international conference, to be held in London. The United Kingdom was more than happy to host the talks as the British government feared that the absorption of Luxembourg by either power would weaken Belgium, its strategic ally on the continent. ^ Trausch 1983, p. 53. ^ Calmes 1989, pp. 325-7. ^ Fyffe 1895, ch. XXIII. ^ a b c Fyffe 1895, ch. XXIV. ^ Moose 1958, pp. 264-5. The German Confederation was an association of 39 German-speaking states in Central Europe, created by the Congress of Vienna in 1815 to coordinate the economies of separate German-speaking countries and to replace the former Holy Roman Empire, which had been dissolved in 1806. The German Confederation excluded German-speaking lands in the eastern portion of the Kingdom of Prussia, the German cantons of Switzerland, and Alsace within France which was majority German speaking. 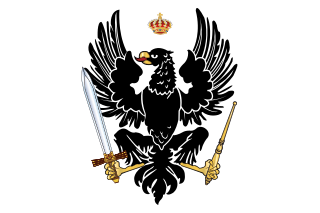 The Austro-Prussian War or Seven Weeks' War was a war fought in 1866 between the Austrian Empire and the Kingdom of Prussia, with each also being aided by various allies within the German Confederation. Prussia had also allied with the Kingdom of Italy, linking this conflict to the Third Independence War of Italian unification. The Austro-Prussian War was part of the wider rivalry between Austria and Prussia, and resulted in Prussian dominance over the German states. Vincent, Count Benedetti was a French diplomat. He is probably best known as one of the central figures in the instigation of the Franco-Prussian War. The Zollverein, or German Customs Union, was a coalition of German states formed to manage tariffs and economic policies within their territories. Organized by the 1833 Zollverein treaties, it formally started on 1 January 1834. However, its foundations had been in development from 1818 with the creation of a variety of custom unions among the German states. By 1866, the Zollverein included most of the German states. The foundation of the Zollverein was the first instance in history in which independent states had consummated a full economic union without the simultaneous creation of a political federation or union. Count Friedrich Ferdinand von Beust was a German and Austrian statesman. As an opponent of Otto von Bismarck, he attempted to conclude a common policy of the German middle states between Austria and Prussia. The unification of Germany into a politically and administratively integrated nation state officially occurred on 18 January 1871, in the Hall of Mirrors at the Palace of Versailles in France. Princes of the German states, excluding Austria, gathered there to proclaim William I of Prussia as German Emperor after the French capitulation in the Franco-Prussian War. Unofficially, the de facto transition of most of the German-speaking populations into a federated organization of states had been developing for some time through alliances formal and informal between princely rulers, but in fits and starts. The self-interests of the various parties hampered the process over nearly a century of autocratic experimentation, beginning in the era of the Napoleonic Wars, which prompted the dissolution of the Holy Roman Empire in 1806, and the subsequent rise of German nationalism. Gerson von Bleichröder was a Jewish German banker. The Treaty of London, often called the Second Treaty of London after the 1839 Treaty, was an international treaty signed on 11 May 1867. Agreed to in the aftermath of the Austro-Prussian War and the Luxembourg Crisis, it had wide-reaching consequences for Luxembourg and for relations between Europe's Great Powers. 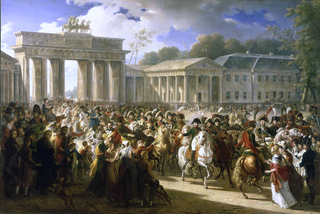 The causes of the Franco-Prussian War are deeply rooted in the events surrounding the German unification. In the aftermath of the Austro-Prussian War (1866), Prussia had annexed numerous territories and formed the North German Confederation. Prussia then turned its attention towards the south of Germany, where it sought to expand its influence. 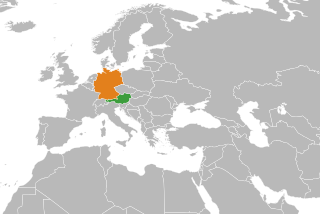 Relations between Austria and Germany are close, due to their shared history and language, with German being the official language and Germans being the largest ethnic group of both countries. The London conference of 1864 was a peace conference about the Second Schleswig War. The negotiations took place in London 25 April 1864 – 25 June 1864. Lord John Russell had intervened with a proposal that the war should be submitted to a European conference on behalf of the United Kingdom of Great Britain and Ireland; the proposal was supported by Russia, France and Sweden. The negotiations were influenced by the Prussian and Austrian victory in the Battle of Dybbøl, giving Otto von Bismarck and his delegation an advantage over their opponents. The conference broke up 25 June 1864 without having arrived at any conclusion.